The Home Inspectors Are Coming—Are You Ready, Sellers? Hurrah! You’re under contract. Is your home inspection ready? You staged your home and completed minor repairs for showings. You got the price you wanted for it. Now—what will the home inspectors have to say to your buyers? Nancy Miller is here to help you make sure your home is ready to pass inspection. Home inspection in Illinois—how does it work? Home inspection in Illinois is fairly straightforward. After going under contract and before closing, the buyer is allowed to inspect the home for major and minor repairs. 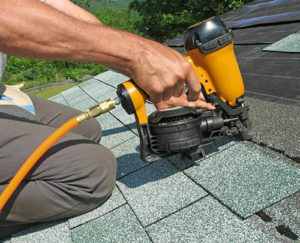 They most often hire an Illinois-licensed home inspector to do this. Inspectors will look at both external and internal aspects of the property. They will assess structural and electrical aspects as well as any issues with plumbing, windows, ventilation, HVAC, and appliances, to name a few. After the buyers’ home inspection, they may cancel the contract if the inspector finds major repairs that cannot be negotiated. The buyers may also request that the sellers make repairs, pay for repairs, or reduce the selling price of the property. For sellers, it is a good idea to hire an Illinois-licensed home inspector to conduct a presale home inspection. Ideally, you would do this before listing your property; however, you can still do it after you have gone under contract. Undergoing a presale inspection of your home can help you avoid surprises from the buyer’s inspection and get a jump on any repairs you may want to make before the buyers are asking for concessions to the contract. How do I find a home inspector in Illinois? Firstly , ask your realtor for recommendations. Nancy Miller with Coldwell Banker can provide names and numbers of several reputable home inspectors with whom she has worked. Secondly, be sure to do your research. In addition to the usual methods of Googling names and checking reviews on Yelp, you should know that the Illinois Department of Financial and Professional Regulation licenses home inspectors. You can go directly to their site and search a list of home inspectors with active licenses in your area. I found a home inspector–now what? Be sure to call the home inspector sooner, rather than later. Home inspectors are busy, and tend to get booked up quickly–especially in the spring and summer months, when home buyers are most active. After you have set the appointment, take a walk through your home. Are closets, attics, crawlspaces and the like accessible for them? Are sheds and other outbuildings unlocked? Next, you’ll need to decide if you want to be present during the inspection, which can take up to two hours or more, depending on your home. It can be strange to open your home to a stranger and leave, but it can also feel like someone is judging you, not just your home if you stay. Only you can make this decision. If you opt to leave, remember, these are licensed professionals with their reputations on the line. If you stay, do your best not to get defensive about any issues the home inspector may find. You will, however, definitely want to go over the report with the home inspector in person. Especially if the technical aspects of your home aren’t in your knowledge base, you will want to ask questions so you understand the report clearly. 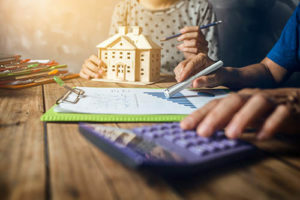 This way you can decide what may be a problem for potential home buyers–what can be negotiated, and what will kill the deal. Repairs: do it yourself or call the professionals? Well, darn. There are some things the inspector discovered that you know the buyers will want fixed. Should you research the internet and do the repairs yourself, or call in a professional? Of course, it depends on how major the repair is and your level of expertise. If you are an engineer, a licensed plumber or a licensed electrician, then of course you will want to do the repairs yourself. However, since it’s highly likely that you have a different profession, your best bet is to find someone you trust, and who is licensed and bonded to do the repairs for you. Replace light bulbs, fixtures, switches, etc. HVAC systems, duct cleaning, replacing water heaters, furnaces, etc. We all do what we can to cut costs and save money. However, when it comes to home inspection and repairs, it is typically best to spend more to save more. And if you’ve done all the work before potential buyers even enter your home for a showing, your chances at getting a higher asking price are increased. As part of your overall marketing plan, Nancy Miller Realtor with Coldwell Banker and long-time La Grange, IL resident is here to walk you through all stages of selling your existing home and buying your new one. Let’s grab a coffee!